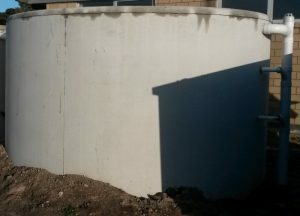 Customised Tanks in a range of sizes to meet your storm water retention and attenuation requirements..
Absolute Concrete Precast Concrete Retention / Detention tanks to meet your design requirements. 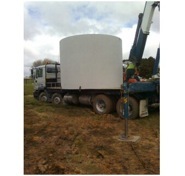 Bring us the design specified in your storm water report and we’ll customise a tank to meet your needs. 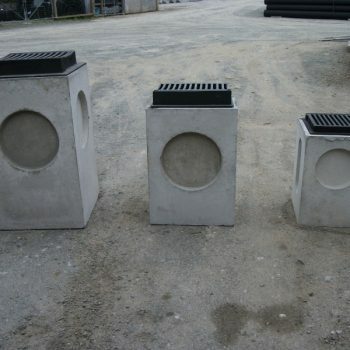 A range of Pre Cast sizes are available to fit your plans. 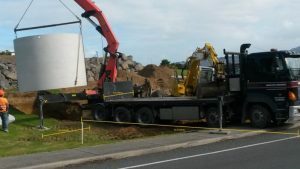 Absolute Concrete Retention Tanks are manufactured to standards NZS 3106 and use material that conform to NZS 3422and NZS 3109:1997. They are manufactured using high strength concrete and fabricated circular steel reinforcement (welded steel mesh) not fibre like some other manufacturers. 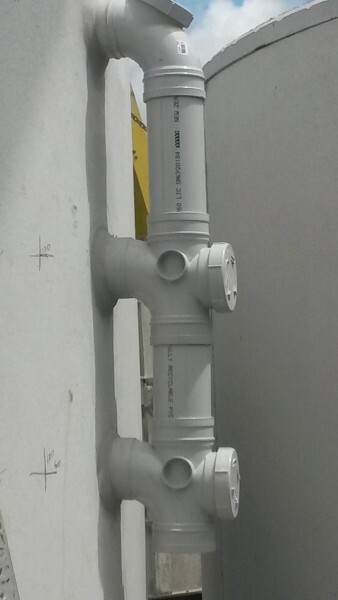 This helps to achieve a water tank suitable for a range of installations. The tanks have lifting anchors cast into the concrete walls. 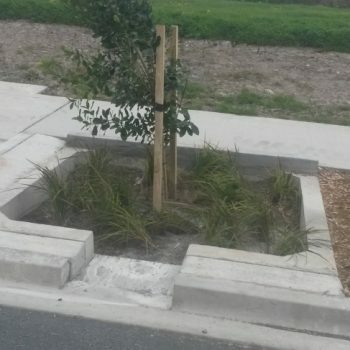 Standard water tanks may be completely buried with a maximum of 100mm fill cover consisting of light free draining material such as bark, scoria or mulch. Standard lids are designed for pedestrian traffic only. 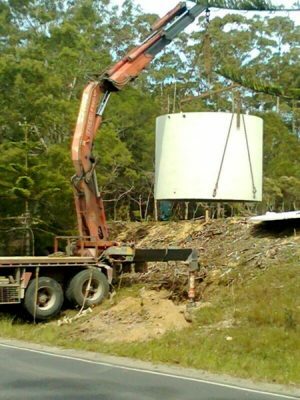 Heavy Duty Tanks are available on request. A heavy duty tank may be completely buried up to 200mm underground. These lids are sealed on delivery. 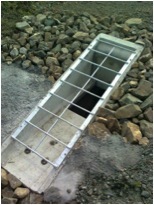 Heavy Duty lids are designed to withstand either pedestrian traffic or we can cater for tanks that are required for wheel loads. 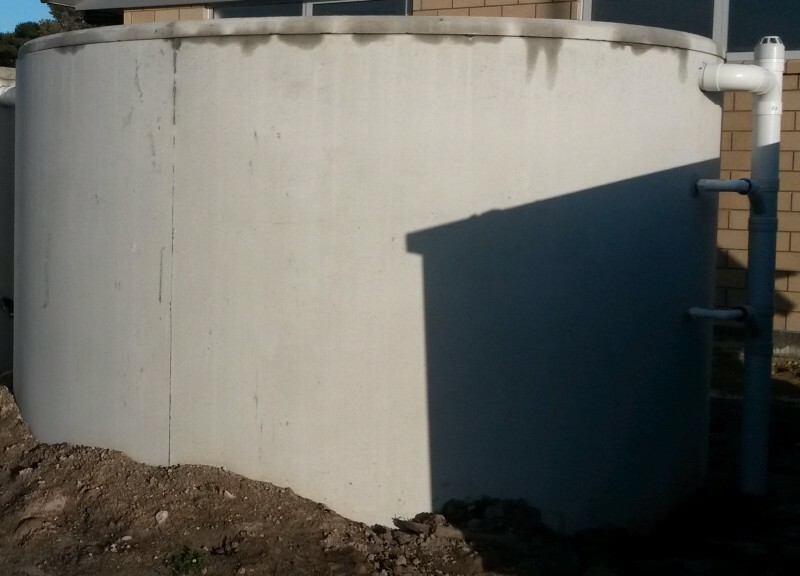 After installation of the water tank we advise that you make sure it is filled with water before backfilling. For instances where the tank is designed to remain empty most of the time, a flanged anti-floatation base can be added. Siting requires a level site and a good foundation so that all the weight is distributed evenly on solid ground. The truck will not be stable on fill. Please ensure the digging material has been placed so that access for truck and stabiliser legs is not restricted. Crane legs must be able to be extended on flat level ground that is solid virgin earth – not dirt fill – should the ground be deemed unstable it will be your responsibility to excavate and compact with hard-fill. Your tank site needs to be flat and level. It is advisable to set the tank onto a base of fines of 7mm granular material on top of level ‘Good Ground NZS3604’ should ‘good ground’ not be attainable, a base of compacted hard-fill material will need to be added. If there is any doubt that the fines may be washed out over time, it is advisable to box them in. The area should be free of rocks, tree roots and other protrusions that may cause pressure points. delivery to assist in your preparation. Any site work by our company will be at your cost and any delays on site due to circumstances outside our control are chargeable.